US FDA Registration is a mandatory requiremnet to place your products in USA. US FDA Registration is given under US bio-terrorism act. After registration you are allotaed a registration number which is used bu US custom authority & other concerned authorities in USA to established your genuine identity as a suppliers to USA. 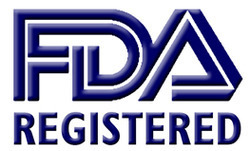 US FDA registration is given in many categories. Most prominent categories are : US FDA Registration for Food, US FDA Registration for cosmetics, US FDA Registration for drugs, US FDA Registration for medical devices. Appart fro these US FDA Registration can also be obtained for packaging materials, utensils & some other product categories. CDG is a industry leader for 'US FDA Registration Services in India'. 'US Food Facility Registration' is our expertise though we do provide US FDA registration service in other product groups also. We mayl also service as authorised agent for US FDA. So if you have any query regarding US FDA Registration in India please contact us.